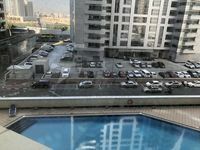 family building 1bhk apartment Near to Metro in tecom ! The community of Brasha Heights, or what’s popularly known as Tecom, has numerous apartments for rent that offer perfect residential option for young single professionals and families. Barsha Heights lies in a pivotal location in Dubai off Sheikh Zayed Road and near many strategic recreational locations and business venues. The project is adjacent to The Greens and Al Barsha districts. It’s easily accessible for motorists and public transportation passengers since it has a number of bus stops in addition to a Dubai Metro station that lies right off its main entrance. Residents of Barsha Heights will have everything around, it’s a truly fully integrated community where all segments of residents will enjoy a unique style of living. Barsha Heights composes mainly of apartment buildings teeming with a wide set of apartments for rent varying in type and size. There are studios, regular apartments, and penthouses. They range in size from one-bedroom to five- and six-bedroom apartments. 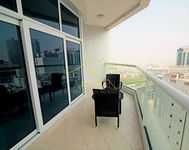 Most of the apartments offer their residents magnificent views of vast parks and Dubai skyline. They also have access to an array of amenities to compliment the novelty of living in Barsha Heights. Residential buildings include swimming pools, BBQ areas, fitness gyms, and spas where residents can pass quality leisure time. They also feature a number of retail spaces offering a variety of services like laundry, hairdressing, and groceries. Moreover, Barsha Heights is the home of many high end hotels like Ramee Rose, Time Oak Hotels & Suites, Grand Millennium Hotel, First Central Hotel Suites, Mercure Hotel, and many other. These hospitality venues provide exceptional quality of services to their guests starting from the luxury fully serviced rooms and suites to the 24-hour concierge. They are highly favorable by Dubai visitors willing to stay in the heart of the city. 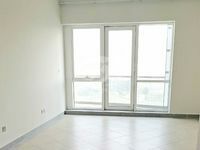 Central location, wide set of amenities, proximity to most of Dubai’s hotspots like Jumeirah and Dubai Mall, availability of numerous facilities including schools, universities, and hospitals, and top standard of living, they are all unique advantages only available in Barsha Heights apartments for rent. Rental prices of apartments for rent in Barsha Heights start from AED 60,000 for one-bedroom flat and around AED 68,000 for two-bedroom apartments. The district includes a number of projects including Al Fahad Towers, Crystal Blue Tower, Al Noor Towers, Art Towers, and many other. Top standard living and full entertainment is only a couple of clicks away. 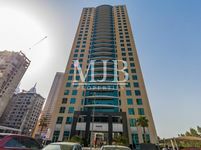 Rent an apartment in Barsha Heights and enjoy a number of various restaurants and cafes all offering quality food and beverages. You’ll never feel connected with all other districts in Dubai like in Barsha heights, the project has direct access to two of Dubai’s most significant traffic arteries. Just Property makes all easy for you, just browse the uploaded property listings, check the images and descriptions available, and make up your mind. You can call any of our real estate agents fo find more information about properties or to book one.